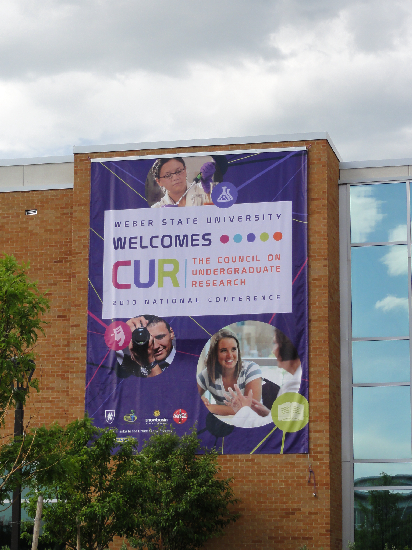 I’m at the 2010 National Conference of the Council on Undergraduate Research at Weber State in Ogden, Utah. Tonight, the conference kicked off with a talk by Dr. Robert Full (University of California, Berkeley) on “The Value of Interdisciplinary Research-based Instruction.” I immediately thought of Wooster’s Environmental Studies class that our own Dr. Wiles will be co-teaching with Dr. Susan Clayton (Psychology and Chair of Environmental Studies) as an excellent example of “interdisciplinary research-based instruction.” Tomorrow, I have the privilege of serving on a panel with Dr. Jeff Ryan and Dr. Laura Geurtin, my fellow GeoCUR Councilors, in an interactive session on “How Working with Undergraduate Researchers has Changed with Time.” I’ll be discussing wikis, digital field applications, and international research, but how is a geologist supposed to concentrate when surrounded by such wonderful scenery? 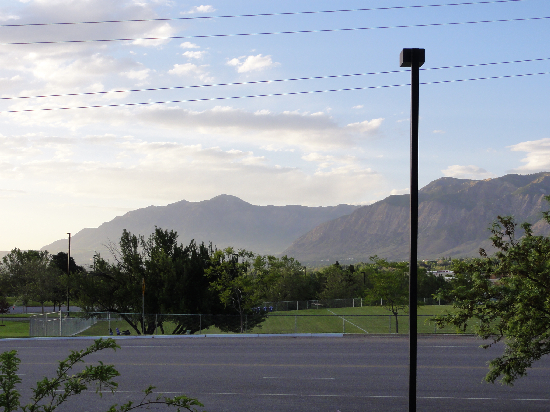 Wasatch Range, as viewed from the Welcome Reception at CUR 2010.